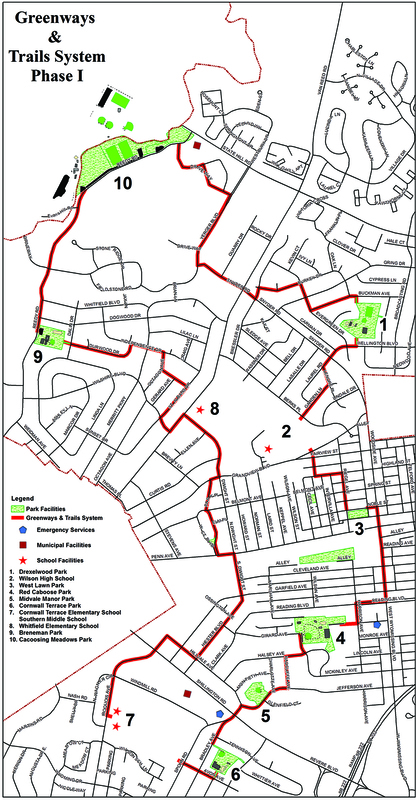 Visit the Parks and Recreation Department for a pocket version of Phase I of The Greenways & Trails System. Ask for the Zcard! Download the map for your printing convenience. Check back for further updates.